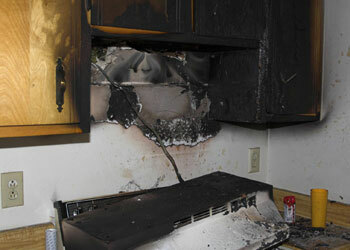 The nature of a fire creates special problems worthy of comprehensive treatment. Fire losses must be handled with special care since many types of materials can fuel a fire, causing soot fallout and smoke damage; also, because large amounts of water are required to extinguish the blaze, thus introducing concerns of corrosion and mold and mildew growth. Advanced Restoration has the trained personnel and equipment to handle all aspects of a fire loss, large or small. Remediation of a Fire Loss After a fire or smoke damage occurs, several conditions need to be addressed immediately.